Banian Repertory Theatre’s critically acclaimed Manipuri play- Kumudini is among 19 plays selected for the 29th Nandikar National Theatre Festival to be held from December 16 to 25 this year at the Academy of Fine Arts in Kolkata. During this 2012 edition, the Nandikar will pay tributes to Mohit Chattopadhyay and Sunil Gangopadhyay; and a seminar on Theatre and Integration will also be held. The Nandikar will issue passes to be available from the Academy ticket counter between 1pm and 7pm from December 9. The available denominations are Rs. 40, Rs. 60 and Rs. 90. The annual Nandikar National Theatre Festival is the biggest theatre carnival of Kolkata and one of the largest in the country as well. The festival provides a platform for the stalwarts and amateurs alike for not just participants from all over India, but also from the international arena. Manipuri play- Kumudini directed by M. C. Thoiba and scripted by Dr. M.C.Arun introduces an individual Manipuri woman in the socio-political sphere as voluntary actor. Maharani Kumudini is the wife of Maharaja Gambhir Singh, who liberated Manipur from Burmese occupation during the Chahi Taret Khuntakpa (The Seven Years Devastation). Maharaja Gambhir Singh died, when his eldest son Chandrakirti was only two. Kumudini found herself in the middle of palace intrigues and attempts by Gambhir Singh’s brothers and relatives to wrest the throne. She ultimately succeeded in installing her son to the throne, but it was no mean feat for a woman. Much has been discussed about Manipuri woman. Some have put them on a pedestal. Others say, women are exploited in our society. It is a confusing scenario. The play revolves round a contemporary radical who seeks answers on different facets of contemporary Manipuri woman and her position in the socio-political sphere, in the backdrop of the life and times of Maharani Kumudini. The play explores the collective and individual womanhood, her desperation and dreams, woman’s space in kinship and political position, power and the patriarchal cultural order in Manipuri society. Kumudini will be staged on December 23 at 6.30 pm. Kumudini produced in 2007 was recently performed at Hyderabad and Tirupati in the 7th Abhinaya National Theatre Festival 2012in the month of August. A theatre critic- Gudipoodi Srihari in the HINDU in its edition dated 23rd August 2012 wrote, “The four-day-long All India Theatre festival held by Abhinaya was an eye-opener revealing how other language plays are designed to win audience with commitment in choosing themes and coming out with forceful productions. Here was another excellent production by a Manipuri team of artistes, titled ‘Kumudini’, staged at Ravindra Bharati. It was the last play of the festival. Despite the inability to understand their language, the audience was totally immersed, following thematic substance. The subjects they choose were quite novel and experimental too. M.C. 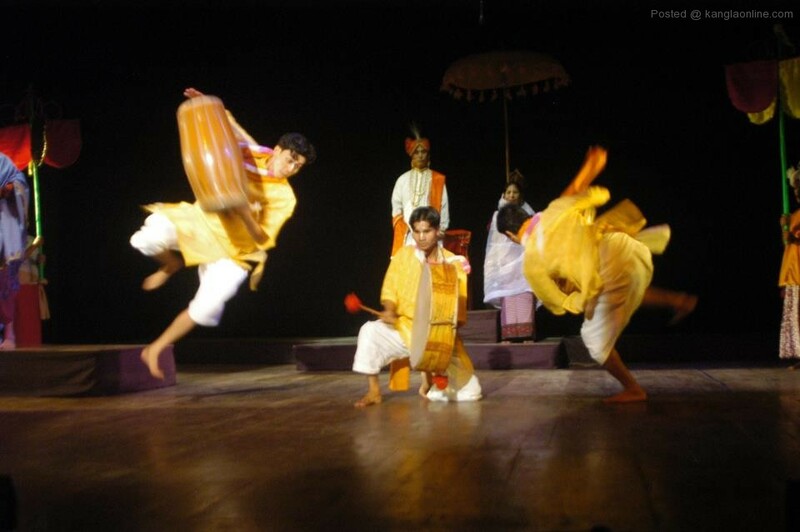 Thoiba who was actively involved in theatre movement handled this production with utmost care. Crowd scenes, rebellions were well handled”. The plays selected for this year’s festival are Sukhmani Kohli’s Romeo Juliet and Seven Clowns, Saurabh Nayyar & Nitin Bhardwaj’s Ram Sajeevan Ki Prem Katha, Supriyo Chakraborty’s Hridmajhaare, Vinay Sharma’s Atmakatha, Choiti Ghosh’s A Bird’s Eye View, Suman Mukhopadhyay’s Shunyo Shudhu Shunyo Noy, Anurupa Roy’s Across the Sea, Ranjit Kapoor’s Chekov Ki Duniya and Adamzaad and Panchlight, Nasir Uddin Yusuf’s The Tempest, Anup Hazarika’s Charandas Chor, Dr Tapanjyoti Das’s Tathagata, Subodh Pattanaik’s Biplabi Bihanga, M C Thoiba’s Kumudini, Baharul Islam’s The Green Serpent, Debabrata Maity’s Lakkoner Shoktishel, Swatilekha Sengupta’s Tushaarmalaar Deshe, Debsankar Halder’s Anto-Aadi-Anto and Swatilekha Sengupta’s Madhabi. Anup Hazarika’s Charandas Chor and Baharul Islam’s The Green Serpent are two Assamese plays from Assam to take part in the festival. Previous articleMusings of A Desperate Dreamer in Exile: Eche Sharmila, Where Is My Home Place?